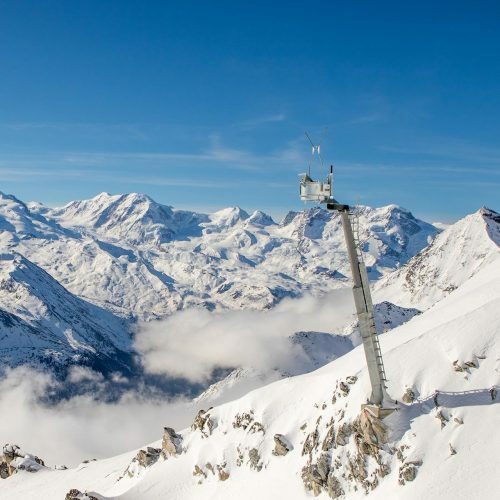 Thanks to the large effective range produced by a big explosive detonated above the snow cover, the Wyssen Avalanche Towers are most applicable for large starting zones. 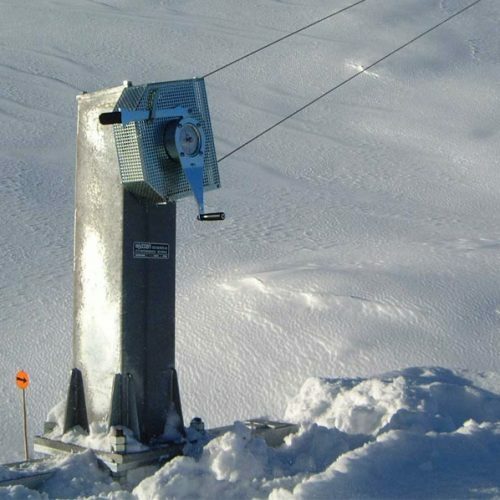 The charges are transported from out the station with manual or electric drive, transported to the avalanche starting zone and then detonated over the snow cover. 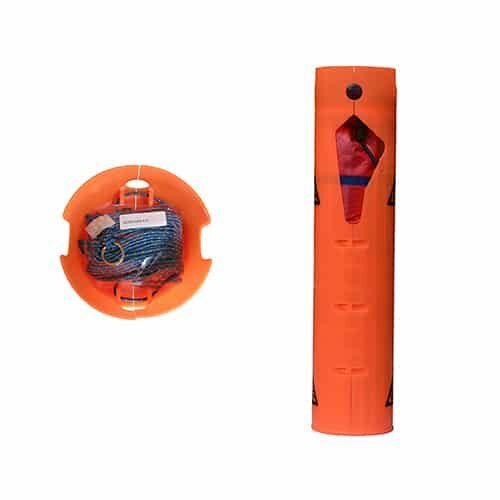 The explosive charge consists of two orange half-shells with pre-mounted SZ 83 percussion fuse, which are assembled with 5kg of explosives. 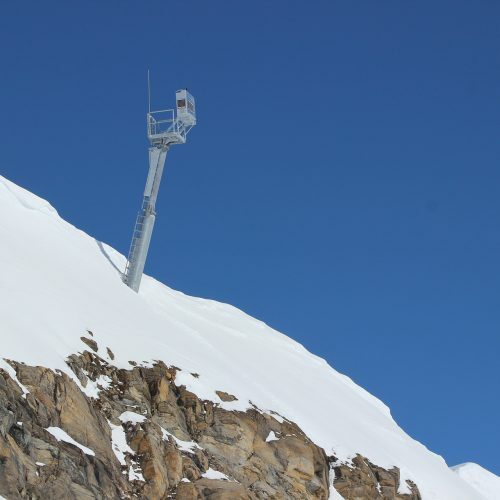 For triggering safely accessible and not very remote avalanche starting zones. 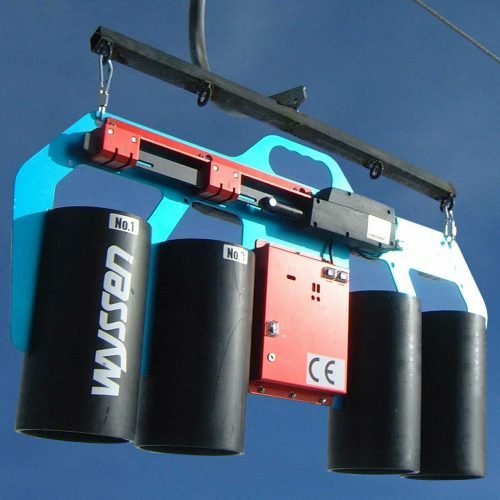 The charge carrier for 2 or 4 charges improves the efficiency of blasting cableways.